When your landfill has less than 50 years of life remaining before you face a $150 million bill to decommission it and create a new one, it’s time to fire up the calculator. The longer you can extend the life of your landfill, the longer you can put off that expense. It’s a rare municipality that’s prepared for a bill that large. How can you make the landfill last longer? Garbage takes up the space it takes. You’re already maximizing efficiencies in the operation. The only solution that remains: put less stuff in the landfill. When diversion rates sit in the 20% range, as they do for Regina and Saskatoon, there’s a lot of room for improvement. What is a diversion rate? In the waste management community, we use this word a lot. It refers to how much of our waste stream (anything you “throw out”, whether into the garbage, compost, or recycling) goes anywhere other than the landfill. So if the diversion rate is 20%, that means 80% of all items go to the landfill at the end of their lives, instead of being recycled, reused, repurposed, composted, etc. 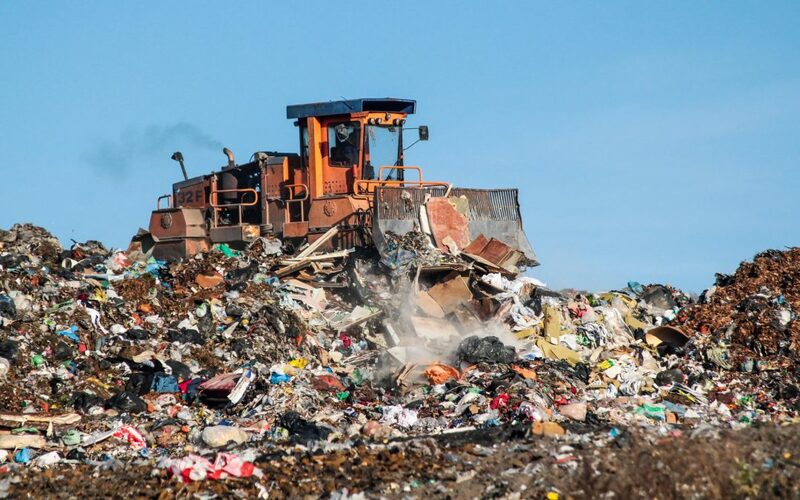 Both Saskatoon and Regina are facing short lifespans remaining in their landfills, a huge bill to decommission and replace them, and disappointingly low diversion rates. 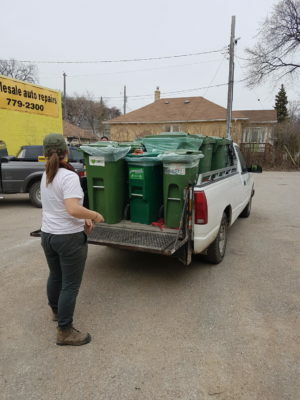 In an attempt to increase those diversion rates, both are making serious moves towards implementing curbside organics pickup. Curbside Composting Status: Has to be passed in 2019 budget, but if it is, a competitive bid process will begin in 2019 and curbside composting will begin likely a few years down the road as needed for facilities to be created. Solutions Implemented so far: Landfill is getting a new waste diversion section to capture recyclable materials, such as scrap metal, household appliances, and construction & demolition waste. There is a program and strategy in place to study how to increase waste diversion rates, and consultations are currently ongoing. Curbside Composting Status: Currently there is a fee for service opt-in program available to residents for leaf, yard, and food waste (fruits & vegetables only). Beginning property tax increases every year until 2023, to fund curbside compost pickup which will begin that year. Considering a ban on organics in the landfill. 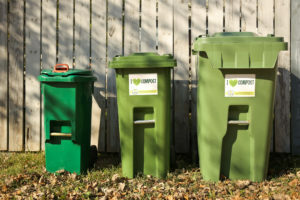 Winnipeg thus remains the last major municipality in Canada to seriously consider or implement a municipal composting program (beyond leaf & yard waste). Our diversion rates have stalled in the low 30% range, though they did nearly double when the leaf & yard waste curbside pickup program was implemented. Since then, there has been very little upwards movement. Perhaps it is the pressure felt by cities facing frighteningly short landfill lifespans that is moving Saskatoon and Regina forwards. Let us follow their example and be proactive! We have about 100 years left in Brady Road Resource Management Facility before it must be decommissioned – how much longer can that be extended?